Active Voice: Running Biomechanics from Ages 20 to 60: What’s Going On at the Ankle? The Runners Injury and Longitudinal Study, or TRAILS, is a multi-organization study investigating the hypothesis that a discrete set of biomechanical, behavioral and physiological risk factors distinguish runners who sustain an overuse running injury from those who remain injury-free. Wake Forest University, the U.S. Army and East Carolina University are collaborating to define factors that differentiate injury-free from injured runners over one year. The long-term goal of this research is to reduce the number of injuries sustained by military recruits during their training. As described in our January 2016 MSSE paper, we used the baseline data from 110 male and female runners to address this issue and produce relevant data on the changes in running biomechanics for subjects aged 20 to 60 years. The primary results of this cross-sectional study were: 1) stride length and running velocity decreased 15 percent over the 40 years, but stride rate did not change; 2) hip and knee muscle function also were unchanged over the four decades, but ankle calf muscle function decreased precipitously. I need to mention that non-biomechanical factors possibly may have contributed to these observed changes with age. For example, reduced overall fitness may have led the older runners to decide to run slower and they did so by reducing calf muscle function to take shorter steps and run slower. The focused decline in ankle muscle function is still a unique observation, no matter the causal factors, and suggests either strength or power training focusing on the calf muscles may be a viable mechanism for attenuating the reduction in running biomechanics with age. Training these muscles is typically performed less frequently by runners. Instead, runners tend to train with squats, the leg press and knee extension exercises – with the result being improved strength or power in the quadriceps. Certainly, fewer people perform ankle squats, ankle presses and ankle extension exercises — but, we now are suggesting that they should try to incorporate ankle training into their overall regimen. Reduced ankle power also may be related to the observed increase in Achilles and calf muscle injuries that occur in older vs. younger runners. This may be due to the fact that these tissues may not be able to handle the stresses of running as we reach our 40s and 50s. We also find it interesting that the focused decline in ankle muscle function agrees with data showing that older adults (i.e. 70 years and older) lose a relatively greater degree of muscle function at the ankle than at the hip. Perhaps we have identified a functional decline prompted by the aging process, as far as locomotion is concerned — loss of calf muscle function. This idea suggests that training our calf muscles also may benefit older adults during more routine activities of daily living. Beyond what I have just described, we also were able to calculate a yearly rate of decline for these variables. This calculation was a novel contribution of the study and may serve to help other investigators by providing reference values for these measures. The regression equations may be used to accurately estimate stride length and running velocity at various adult ages. Furthermore, these predictions can be used to assess an individual’s current performance level and provide target goals for coaches, medical personnel or runners themselves. Finally, these data support the idea that long-term running behavior ameliorates the increase in body weight and BMI evident in sedentary, middle aged adults. In support of this impression is the fact that the 30 to 59 year olds in our study had nearly identical body mass and BMI values, and their values were only slightly higher than those in the 20 to 29 year olds. Hey – wherever you are on this age continuum, keep running! 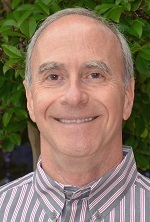 Paul DeVita, Ph.D., is the director of the Biomechanics Laboratory in the Department of Kinesiology at East Carolina University in Greenville, North Carolina. He currently is president of the American Society of Biomechanics and an ACSM Fellow. Dr. DeVita is a locomotion biomechanist and has investigated walking and running gaits in healthy, young and old adults, obese individuals and people with knee osteoarthritis. The work he discusses in this commentary is part of a larger research project on running injuries that has been funded by the U.S. Army, with Stephen P. Messier, Ph.D., FACSM, as the principal investigator. This commentary presents Dr. DeVita’s views on the topic of a research article that he and his colleagues had published in the January 2016 issue of Medicine & Science in Sports & Exercise® (MSSE).